A few days ago I colored my hair using the new Shea Moisture Hair Color System in reddish blond. I won it in a Facebook giveaway hosted by A Happy Nappy Affair. The artwork for the hair color system is beautiful. Each box is decorated with a watercolor piece created by artist Michael Jamal. I followed the directions that were in the box to do a strand test. When the strand test didn't work (no color change in 60 minutes), I decided to just apply the color and use my heat cap while checking the color in 15 minute intervals. On unwashed hair, I started by applying and smoothing the color in for 15 minutes, then for another 30 minutes I sat under the heat cap, then for the final 15 minutes, I allowed my hair to cool and again smoothed the color through. 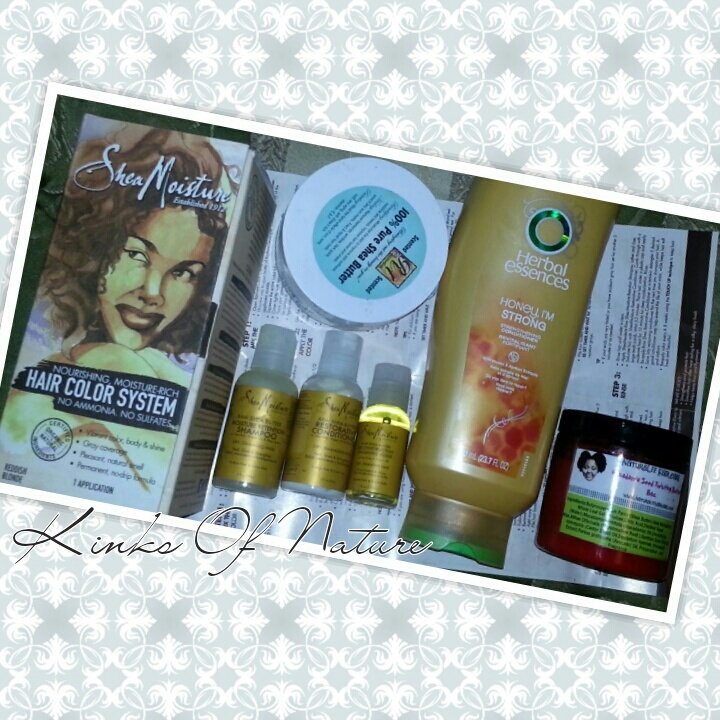 I rinsed and conditioned with the products included in the box. I wish I had used a different conditioner, something that's more of a deep conditioner and has more slip. My hair was tangled because I washed it in one section, and the conditioner didn't do much to help with detangling. Afterwards I used Herbal Essences Honey, I'm Strong Conditioner as a leave-in and RA shea butter to seal my ends. Blew it out, and finished off with a braid out using Naturalee Macadamia Seed Twisting Butter and the oil included in the color box. Above you can see the before and after photos of my color. More photos are here. This is not an actual review. This is mainly to show the results of the color. So far though, I haven't experienced any dryness or breakage due to the coloring. I think the developer SM used is quite low, perhaps a 10 or 20 based on the amount of time and heat needed to process the color. I do have to work more to get a "sheen" to my hair though. 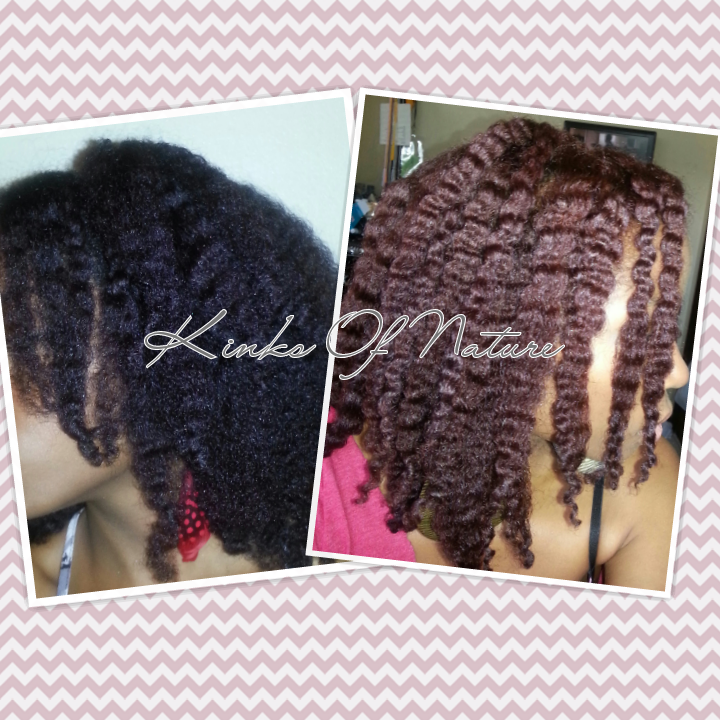 My products are absorbing slightly better, but drying time is still relatively the same so no great change in porosity. Overall, I'm happy with the results. 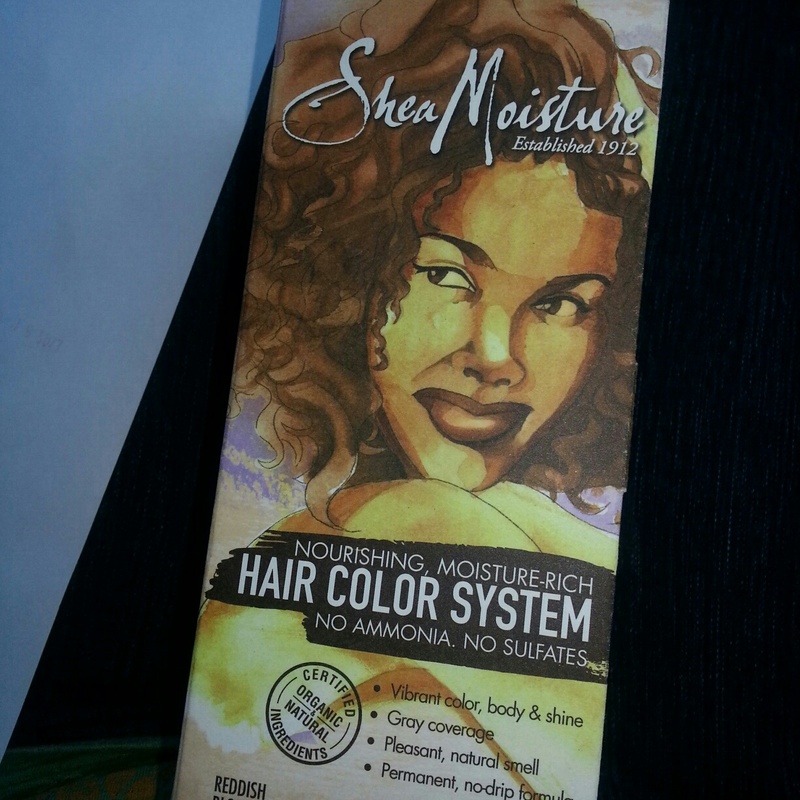 I'd use the Shea Moisture Hair Color System again if ever I were inclined to use a permanent color. They are currently available in select Target stores for $14.99. How dark is your natural hair color? I purchased both Reddish Blonde and Dark Golden Blonde. I was leaning towards Reddish Blonde but I am unsure how it will take on my dark hair. I want to take one of them back but I am not sure which one yet. My before color is in the picture above. When I colored, my hair was near a 1B/2 with a slight purple and red tint from a rinse I had done the month before. If your hair is dark as mine was, you might want to try using heat. In doing the strand tests, I saw no change in 60 minutes without heat. My color results were from 30 minutes with heat and 30 without (processed for 60 minutes). Whichever color you choose, definitely do the strand test. This does help. I may stick with the reddish blonde and do the strand test. I need to stop reading blogs about the hair color because now my options are expanding and I am getting confused as to which color I want lol. Thanks for the response! Hi! I love the color, I just bought the color from Target! How many boxes did it take for you to color your hair? Thanks! I only used one box, and that was enough with a little extra to fully saturate my hair. If your hair is longer and/or higher density, you might need more than once box. i agree with you i also use this. That's a great product.